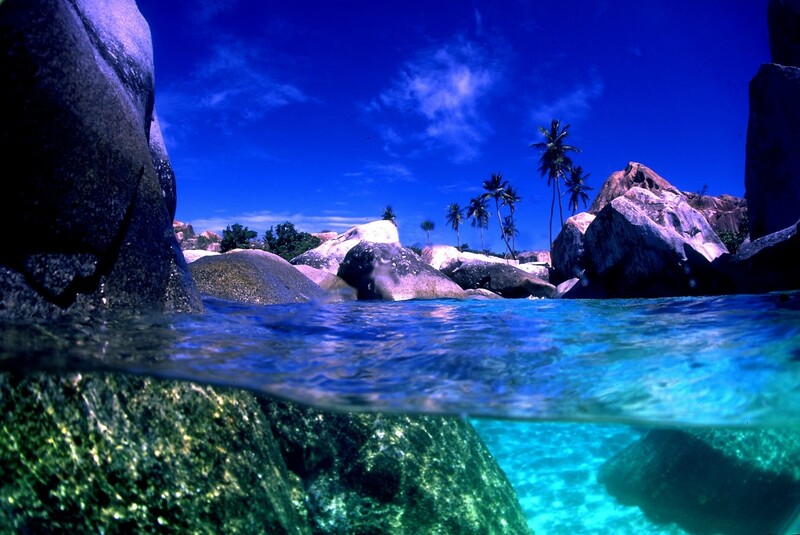 The Baths are located on the southwest coast of Virgin Gorda. This place had everything; perfect water for diving and snorkeling, soft sand for sunbathing and an incredible national park since 1990. Huge granite boulders –some of them having more than 40 feet in diameter – are sprinkled on the beach and make for a very unusual landscape. Devil’s Bay Beach and Spring Bay are two of the most popular beaches. The sandy bottom, the cup corals and vibrant sponges are home to interesting marine species – glassy sweepers and jellyfish, to name just a few – that will swim along in the dreamy blue waters. Bring along your camera, underwater photography is very popular here and you can also snap the inside of the caves, they look truly spectacular. Most of the time the weather is perfect and the good to excellent underwater visibility make The Baths a must destination for those who want to enjoy the sand and sun after a captivating snorkeling session.